The 2013 Chevrolet Malibu was a big disappointment for its enthusiasts at the car of the year testing session. Chevrolet also felt the failure of the 2013 model year and so they decided to offer a redesigned version of the Malibu as a 2014 model year to fix certain flaws. The 2014 model of the Chevrolet Malibu is ready to fight to re-gain the attention of the crowd and so the Chevy engineers made certain distinctive changes to the interior and exterior of the car. The new Malibu has a redesigned front end making it look a bit more refined and safe that features a stylish, rounder and deeper grille with chrome accents, exterior mirrors with turn signals and LED brake lights. Wait, there is something missing, that is LED daytime running lights that are the must have exterior features that the potential buyers will miss. The interior of the 2014 Chevrolet Malibu is a mix of high end and cheap features with certain impressive and disappointing features. The car looks narrow from the inside that is something that will disappoint the American shoppers. The Center console has large control buttons that are mated with five knobs for easy adjustments but at the same time contains some poor quality plastic trims. The new Malibu has extra rear legroom, ambient lighting, new faux wood design and some advance and innovative features. In the comparison with its rival, the Malibu have to struggle hard to stay in the competition. The 2014 Malibu gets 4 wheel antilock disc brakes, dual front, dual rear, front and rear head and full length side curtain airbags, front fog lights, tire pressure monitoring, child seat anchors, traction control and stability control as standard safety features. A 2.5 liter in-line 4 cylinder engine that generates 197 horsepower and 191 lb ft of torque. The front wheel drive and six speed shiftable automatic transmission with gearstick buttons are standard. In terms of performance, the new Malibu is expected to touch the same figures that are 8.3 seconds for 0-60 mph with a top speed up to 130 mph. The EPA estimated fuel economy is 22 mpg city and 34 mpg highway. A 2.0 liter four cylinder turbocharged is also offered to the shoppers that produces 259 horsepower and 295 lb ft of torque. The revised version of the Chevrolet Malibu will hit the dealership late in Summer 2013 across the nation. The pricing is expected to have the same consistency like the previous year that is a starting price at $23,000 moving upward with upper trims to $34,000. 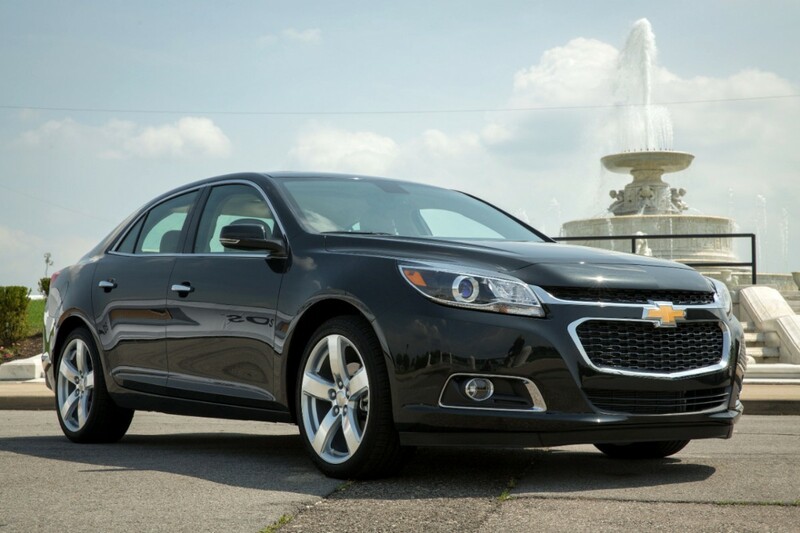 The 2014 Chevrolet Malibu has to compete against Ford Fusion, Honda Accord Sedan, Toyota Camry, Mazda 6 Sports sedan and Nissan Altima Sedan. For the Cost conscious buyers, the Malibu is still a top choice especially for those want to have domestic new vehicles. The 2014 model year is a bit more refined, polished and efficient than its first model. Which are the Best Used Cars to Buy from a Dealership? How do the experts maximize car performance?